We love the Halloween season. And if you ask us there isn’t a better place to spend October than in Indianapolis. There are so many great Halloween events in Indy! Some events are for the family, and some events are more for the thrill seekers. Here is a list of our favorite events going on in Indy for Halloween. We all know that if you want to travel back in time Conner Prairie is the place to go in Indy, but did you know that it is also a great spot for a good scare? Conner Prairie’s, or should we say “Conner Scairie’s, Headless Horseman event is one of our favorite things to do in October. Take a haunted hayride with the kids or participate in a lot of other great things at this event. For more information visit their website here. This event has been going on for over 51 years at The Children’s Museum, so you know it’s going to be good! Take your kids to this year’s Creepy Carnival and it is guaranteed to be a great time. This event is packed full of experiences that your kids will be talking about until next October. For more information check out their website here. 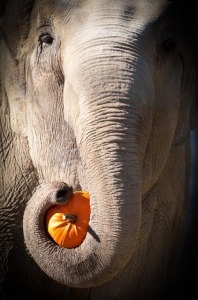 Have you ever wanted to see an Elephant smash a pumpkin with ease? No? Well, your kids probably have! That is just one of the amazing events going on at the Indy Zoo this month that you and your family will love! For more information on this event check out their website here. Any of these events sound like fun to your family? We hope so! Just don’t eat too much candy!